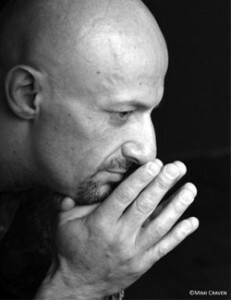 As a stage director, choreographer and artistic director, former dancer Jean-Jacques Pillet has created and danced in his head since he was a child. His dream of dancing coming true, he went on to share his talent with various dance companies in France and Canada, touring the United States, Canada and Europe. It was in his birthplace, Bordeaux, France, where his passion was discovered, nurtured and introduced to the world at the age of 15; at 21, he departed for Montreal. His career culminated in 1992, when, representing Canada, Jean-Jacques received the honor of being named Best Dancer at the Suzanne Dellal International Dance Competition in Tel Aviv. This prize gave wings to the career that would follow as creator. At this moment, it is with Cirque du Soleil that he creates and perfects his art form. After being taken on as artistic director for their tour of Varekai, he then choreographed for their production, Zed, for the Disney Tokyo Resort as well as, most recently, Zarkana for the Radio City Music Hall in New York, now in residence in Las Vegas, both staged by director François Girard. In June 2010, Cirque du Soleil invited him to stage, choreograph and direct the production Le Sillon des Rêves for the city of Quebec. On a regular basis he is also invited by this prestigious company as a stage director and a choreographer for special events, such as: Les Chemins Invisibles Quebec 2009, the 2009 Eurovision in Moscow, Quebec City 400th anniversary, the 2007 launch of the Fiat company in Rome, Barcelona inspired by the Antonio Gaudi’s work and the opening ceremony of the Outgames in Montreal, with one of most renowned francophone singers, Diane Dufresne. Ms. Dufresne also asked him to choreograph her Bal des Vampires, soon after which, Quebec stage director Serge Denoncourt invited him to co-create Tablo for the Italian illusionist Gaetano Triggiano. Jean-Jacques Pillet lends his passion to the film industry as well, collaborating as choreographer on: Un Capitalisme Sentimental with director Olivier Asselin, Macadam Tango with director Lyne Charlebois and Laura Cadieux, la suite with director Denise Filiatrault, starring Ginette Reno. Fall 2011 found him working closely with director Jonathan Levine on the Hollywood feature film, Warm Bodies, produced by Summit Entertainment and starring Nicolas Hoult, John Malkovich, Rob Corddry and Teresa Palmer. As a stage director, he also brought Cirque du Soleil’s Varekai to American television: NBC’s The Tonight Show with Jay Leno, as well as staging it for the famous Royal Albert Hall in London. During his career, Jean-Jacques also worked on creations and taught for: Paris Opéra Ballet, La Scala in Milan, Stuttgart Ballet, Munich Opéra Ballet, National Ballet of Canada, The Munich Opéra Ballet, Les Grands Ballets Canadiens de Montréal, La la la Human Steps, among others. Since 2012, Jean-Jacques began channeling his passion for writing; building on his yet-unpublished volume of poetry, he is currently in the process of completing an original musical as well as two screenplays. And finally, in 2014, Jean-Jacques decided to create a vehicle to produce his own work, as well as that of other writers with whom he shares his vision. HARSHSTREAM Productions: a new comer to the stage and film industry.